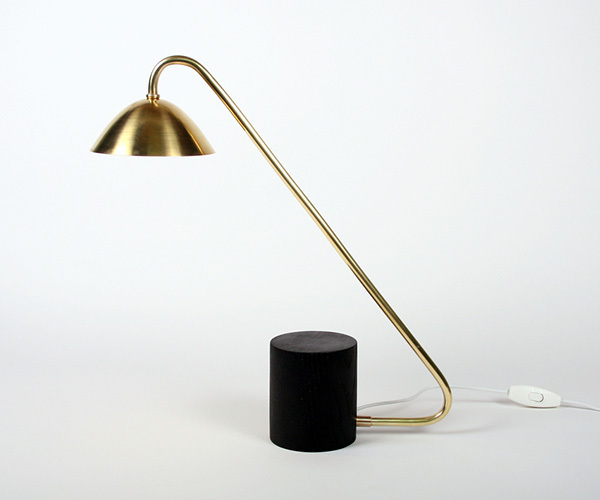 If you believe in reincarnation and Pythagoras was reborn today with mid-century and industrial styled modern tastes then he or she most definitely would have this light. 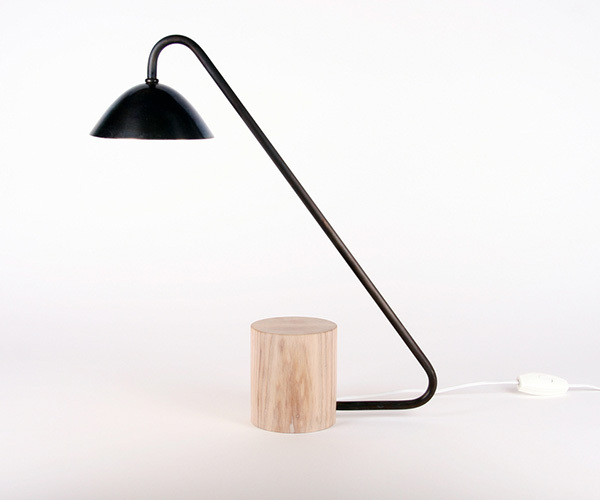 Even if you aren’t mathematically inclined this light is an attractive piece with a balanced equation of wood and brass. 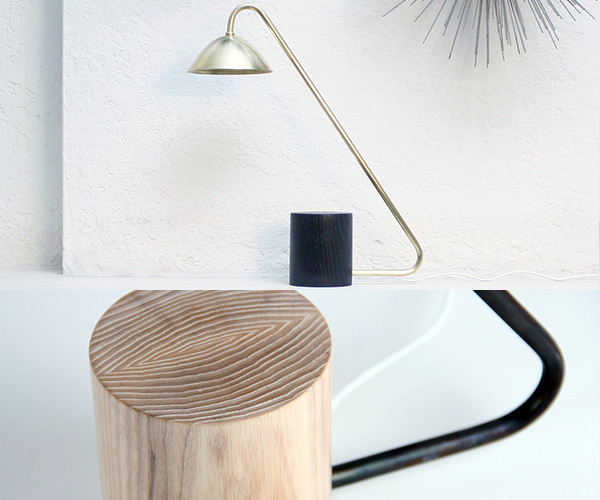 Available in a wax finished natural ash base with blackened brass or blackened ash base with polished brass, each is handmade in Tampa at the DAMM home base.